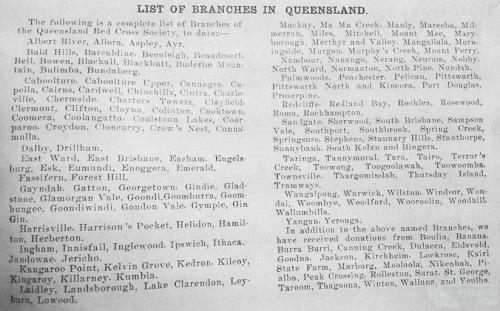 List of Red Cross branches in Queensland, 1915. 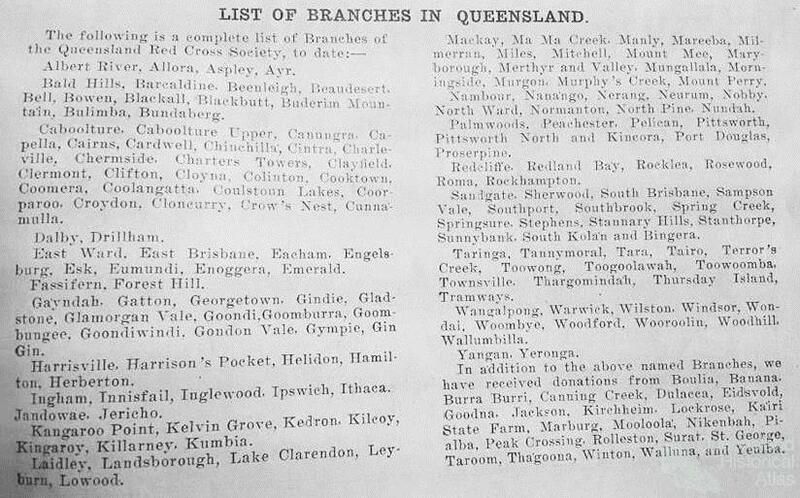 It should be noted that some branches did change their name over the course of the war as did some townships, whereby German names were anglicised. Some of these towns changed their names back after the war, such as Kirchheim and Marburg, however some, like Engelsburg which was renamed Kalbar, never regained their original name. Red Cross Magazine, December 1915. Collection of the John Oxley Library, Brisbane.